Monash University research shows the decision to ban single-use plastic bags has contributed to a decline in supermarket trust by Australian shoppers. 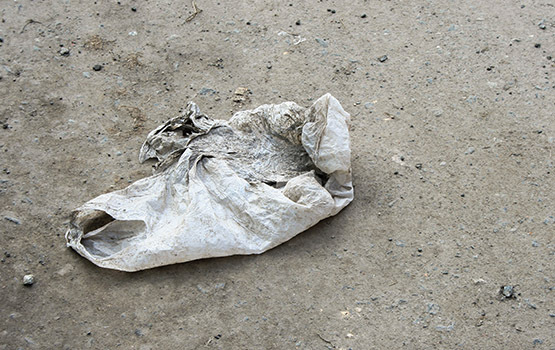 The decision by supermarkets to ban single-use plastic bags may have ticked the environment box but consumers aren’t buying this approach, new research by Monash University shows. August data from Monash Business School’s Australian Consumer Retail and Services (ACRS) research unit's quarterly survey of Australian shoppers reveals a 6% drop in consumer trust in supermarkets since May, which is the period across which the single-use plastic bag fiasco has played out. Five-hundred Australian shoppers took part in an online survey which asked them to indicate their faith in supermarkets to do what is right and whether they considered switching their main supermarket due to the changes to plastic bag policies. The survey revealed that supermarkets have failed customers to the extent that 27% of Australian shoppers would consider switching to a different supermarket because of the changes to plastic bag policies. Interestingly, of these shoppers, a large percentage that typically shopped at Woolworths would switch to Coles and vice versa (67% and 70% respectively). Paolo De Leon, Research Consultant at the ACRS research unit within Monash Business School’s Department of Marketing, said Australian retailers are not maximising the opportunity that the policy change provided. “Trust for supermarkets is driven by policies that favour customers’ best interest and going out of their way to solve customer problems. The removal of single-use plastic bags and subsequent confusion with inconsistent policy changes from both major supermarkets has created more problems than it has solved,” Mr De Leon said. Supermarket trust correlates to shopper loyalty and likelihood to recommend. But Mr De Leon said supermarkets must work hard to rebuild this consumer faith, in a very competitive environment, or risk a loss in business. “The first annual ACRS Consumer Retail Trust Index, launched by Monash in July this year, shows that supermarkets are one of Australian shoppers’ most trusted retailers due to their ability to keep personal data secure and for the range of products they offer,” Mr De Leon said. Commenting on the study findings, Professor Harmen Oppewal, Head of the Department of Marketing at Monash, notes there is a difference between what people say they will do and what they actually do. He said grocery shopping is, to a large extent, habit and convenience driven. “This means that despite a reduction in trust as stated in the survey responses, shoppers’ behaviours will not change that easily,” Professor Oppewal said. The ACRS Omnibus Tracker is a nationally representative survey of Australian shoppers that has been running quarterly since 2013. The survey tracks and measures shoppers’ multichannel preferences and behaviours. The ACRS offers an inclusion of customised questions to capture shopper perceptions on a specific retail topic at cost on request.